Analysis: The 2015 second-round pick was previously scheduled to become an unrestricted free agent and would've been one of the top inside linebackers on the market. Perryman has missed 22 games in four NFL seasons, but he's never struggled to make an impact when healthy, averaging 5.4 tackles per game while doing solid work in coverage. 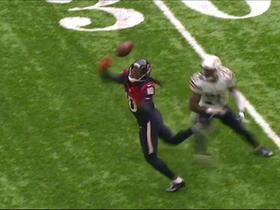 He should be healthy for training camp after suffering a season-ending LCL injury in Week 10 of 2018. 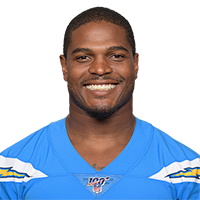 Perryman (knee/hamstring) can become an unrestricted free agent this offseason, Ricky Henne of the Chargers' official website reports. 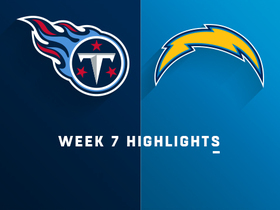 Perryman (knee/hamstring) was placed on injured reserve Tuesday, Eric D. Williams of ESPN.com reports. Perryman (knee/hamstring) will miss the remainder of the season after being diagnosed with an LCL injury in his knee as well as a hamstring injury that likely requires surgery, Ian Rapoport of NFL Network reports. Perryman is questionable to return to Sunday's game against the Raiders due to a knee injury. 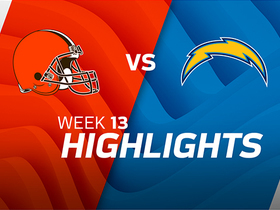 Analysis: Perryman went down during the first quarter of Sunday's divisional tilt, and required assistance from trainers to eventually leave the field. As long as the four-year pro remains sidelined, Hayes Pullard will slot into the starting lineup. 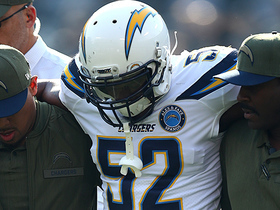 Expect an update on Perryman's health if he's unable to return to the Week 10 contest. 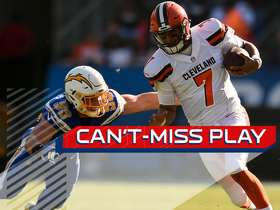 NFL Network Insider Ian Rapoport discusses the recovery time for Los Angeles Chargers linebacker Denzel Perryman's injury. 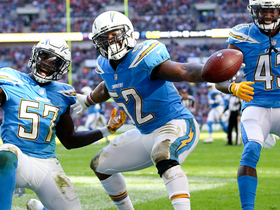 Los Angeles Chargers linebacker Denzel Perryman shifts momentum with red-zone interception off Tennessee Titans quarterback Marcus Mariota. 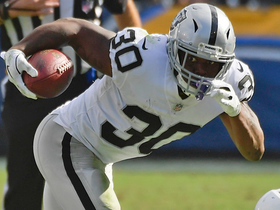 Oakland Raiders running back Jalen Richard refuses to go down on a 32-yard gain on a pass from quarterback Derek Carr. 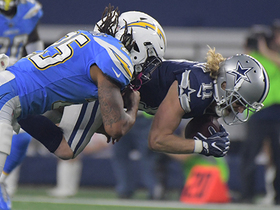 Dak Prescott finds Cole Beasley for 12-yard gain. 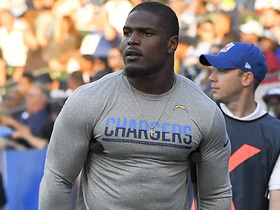 NFL Network Insider Ian Rapoport reports the latest injury updates on Los Angeles Chargers rookies- linebacker Denzel Perryman and wide receiver Mike Williams. 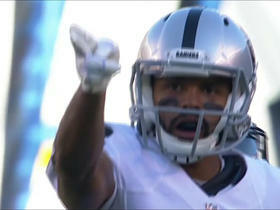 Oakland Raiders QB Derek Carr connects with wide receiver Andre Holmes for 23 yards.